A team of county revenue officers earlier this month, held 4 days consultative meetings with bodaboda operators across the county to inform them of government’s intention to create SACCOs for the industry. This is a move by the county government to give bodaboda operators the opportunity to invest and grow their economic status by depositing the amount which would be used as business licensing fee to SACCOs of their choice. The forums organized by the county government took place in various venues all over the county bringing together all the bodaboda business stakeholders. 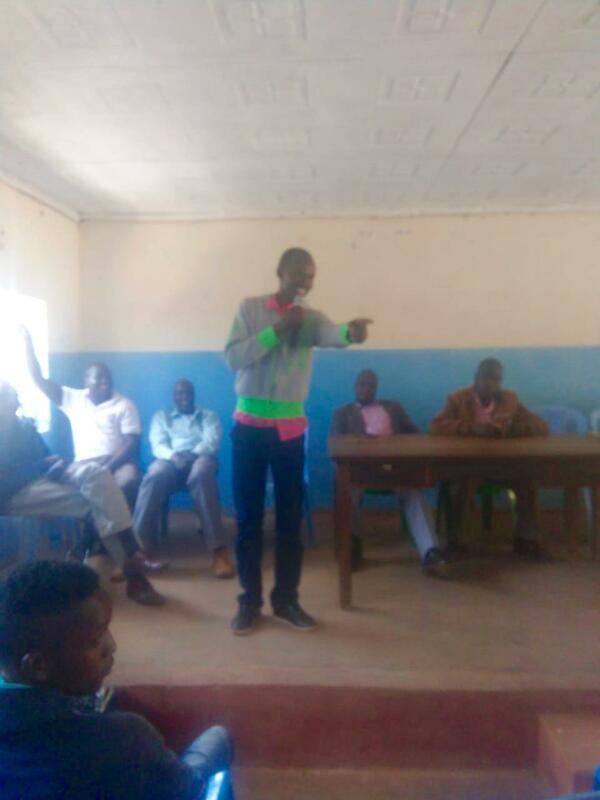 Leading a team of officers to Kabiyet, in Mosop Sub County, Sammy Lui said that the county government is giving an opportunity to all bodaboda operators to form SACCO societies in which they will deposit their savings on monthly basis. He pointed out that bodaboda operators will benefit from SACCO in many ways including saving some of their income for future needs, easy access to loans, annual dividends and retirement benefits. Lui who was speaking on behalf of County Revenue Senior Officer Nicholas Biwott noted that other SACCOs acquire land and build rental houses from their savings which in return earn them more profits from rents collected. He said that if the members work together with a common goal and vision, bodaboda industry will be worth millions of shillings and can be looked up to in the future. He indicated that bodaboda operators can choose to join either a primary SACCO which is made up of a maximum of 20 members or secondary SACCO which has a maximum of 50 members. Registered under the Ministry of Cooperative Development and Marketing, SACCO is authorized to take deposits from and lend to its members. It is governed by the SACCO bylaws which state the objectives, membership, organization structure, share capital, management and lending regulations. Motor cycle owners and riders drawn from Kaptel-Kamoiwa, Ndalat, Kabisaga and Sangalo-Kebulonik wards welcomed the county government’s initiative to boost their economic ventures and vowed to create SACCOs before the beginning of the next financial year. Edwin Kemboi, KabiyetBodaboda Chairperson expressed gratitude to the County Government for such an informative forum that will transform the bodaboda industry. However he asked the County Government to build a large bodaboda shade in Kabiyet that will see over 50 riders who are in need of the amenity sheltered.